My thoughts: I have recently become a big fan of Steena Holmes, having read and absolutely love two of her recent books, The Word Game and Saving Abby. I was ecstatic when I saw that she had written a follow-up to Saving Abby - that book hit so close to home for me for a number of reasons, plus it was just a beautifully written story about the family. Well, this one is equally wonderful and heartwarming. I was so glad to once again get to spend time with the Turner family - I had grown so attached to Josh and Claire in Saving Abby that it was hard to leave them behind when I finished that book. Steena Holmes has such a gift for creating these amazingly dynamic, multi-dimensional characters - you feel as if they are people that actually exist in your life. That's how I felt about Josh and Claire, Abigail and her husband and so getting a chance to spend more time with them, and now Abby and Millie was awesome! Even though we only get to see Claire through the letters she has left Abby and Josh - it still feels as if she is there in person...I loved this! What a clever way to integrate her into the story! This story is about moving on from the past. Having been sick all her life, suffering with weak lungs and knowing that a simple case of the sniffles can be life-threatening, life has not been easy or simple for Abby. She longs to travel, has that wanderlust that her mother had and yearns to travel to Europe, following in her mother's footsteps. That's the last thing her father wants, but now that she's been healthy for a year, and is an adult, she's on her way along with her grandmother, Millie. 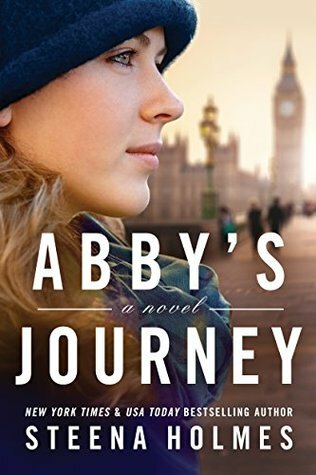 That's not to say that Josh is ok with this - traveling at any point is dangerous for Abby, and during the winter isn't necessary the wisest of decisions, but Abby longs to see the Christmas markets and walk in her mother's footsteps. Oh, how my heart was in my mouth the whole time they were traveling...one the one hand - I was loving living through their travels, but on the other hand, I kept waiting for disaster to strike and that one sniffle to happen. Excitement and dread in equal measures!!! This is an emotional read as the journey is about self-discovery, secrets coming to light, learning to let go of the past as well as learning to face the past. It's also about love and family and the bond between parent and child. It's a heartwarming as well as heartbreaking story that will stick with you long after you finish reading it. I'm not sure if this is the end of this family's story or if Steena Holmes will revisit them again, but either way, I know this is an author that I plan on reading more of!!! Audio thoughts: This is the first time I've listened to Em Eldridge narrate a book and I thought she did a great job with this story. She was able to give just the voice to Abby - not too much maturity, but not too babyish either and it was full of glee and excitement at times that was just perfect! The other voices was great as well. I really enjoyed this audio production and will certainly be looking to see what else Em has narrated! 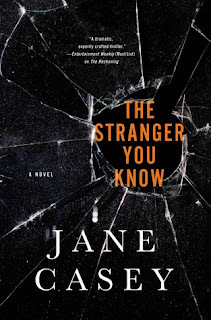 My thoughts: This is the 4th book in Jane Casey's Maeve Kerrigan series and, though I feel like a broken record for saying this, this series just gets better and better with each book! 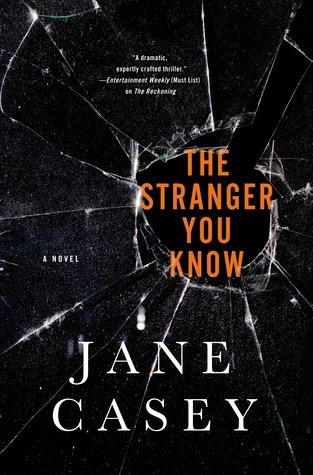 This latest book really kept me on my toes as one of the core characters was a lead suspect in a serial killing spree and Maeve had to do the investigating! So who was being suspected? None other than our beloved Derwant and let me tell you - even I began to suspect him at times given the clues. This case will keep you on your toes as it did Maeve - it's that good! And the usual banter between Maeve and Derwant, despite him being on leave due to his being a suspect, is still in play and full of what we've come to love and expect from them. What I loved, though, is that this book gives us a deeper look into Derwant as a person - we get a look into his past! This, not something that he necessarily wants broadcasted mind you, helps explain a lot of why he is the way he is. This was a great installment in this series and I am looking forward to picking up the next book. Audio thoughts: I am always amazed at how narrators can be so consistent when they narrate series. Sarah Coomes does a great job with that from book to book with this series and I just love her narration of Jane Casey's Maeve Kerrigan series - she has Maeve's character downpat as well as the other characters. Her pacing is spot on as is the tension she adds to her voice as needed. Pam Jenoff is one of my favorite authors for her historical fiction novels. Her latest book, The Orphan's Tale, is now available. Yesterday I shared a book spotlight along with some early praise for the novel - you can read that here. Today I have a conversation that Pam has prepared that I found to be quite interesting. Do let me know if you'll be picking up this book - it sounds like a very moving and compelling read! What is your new novel, The Orphan's Tale, about? Noa, a young Dutch girl, has been kicked out by her parents after becoming pregnant by a German soldier. She lives above a rail station, which she cleans to earn her keep. One day she finds the unthinkable: a boxcar full of infants , ripped from their parents arms too young to know their own names. In a moment of fateful impulse, she snatches one of the infants and flees into the snowy night. She finds shelter with a German circus, where she must learn the trapeze act to earn her keep. The woman who teaches her to be an aerialist is herself a Jew in hiding and the two women must see if they can save each other - or if their secrets will destroy them both. The novel, though fictitious, was inspired by two real events: first, the little-known account of the rescuer's circus, an actual German circus that hid Jews, including rival performers from another circus. Second, the train of unknown infants was drawn from an actual, horrific event during the war. There are also elements of the book that were drawn from real life. For example, the instance of a German military officer being ordered to divorce his Jewish wife was true. Also, a real-life romance between a Jewish woman in hiding and a circus clown provided the idea for Astrid and Peter's relationship in the book. Finally, while researching I was amazed to find a rich history of Jewish circus dynasties in Europe, which also helped me develop the story. How did you first discover the seeds for the novel - the real-life stories of circus performers during the war and the story of the train car full of infants? I found these remarkable stories in the Yad Vasham virtual archives which document the Righteous - people, often not Jewish, who saved Jews during the war. Some of my research is done before I write the book, other bit contemporaneously with the writing. In any event, armed with the stories from Yad Vashem, I began to dig deeper, I found a book on Jews in popular German entertainment and that book provided more detail about the rescuer's circus and introduced me to Jewish circus dynasties in Europe. From there, I needed all kinds of research about Jewish life and life in general during the war, in both Germany and France, where the circus travels. I needed to understand how they were able (and permitted) to keep performing, if at all during such grim times. I used a variety of sources: books, internet, periodical and photos, from the time period, correspondence and other first-hand accounts. Then there was the research about the circus in general. European and American circuses are different and I tried hard to get the details right. Interestingly, there are many websites devoted to historic circus arts. Finally, I had to learn about aerialists arts, such as trapeze. I began with books and videos and then consulted an aerialist, who taught me what was and was not possible. But first I had to understand enough to even know the right questions to ask. There have probably been more books written about the Second World War - both fiction and nonfiction - than any other subject. How did you keep your story fresh? There are times when I look at all of the books I and others have written during World War II and think, "that's it, I'm done." But then the stories keep coming, each so original and irresistible, that they demand to be written. In particular, I think the end of Communism and the opening of communications and archives not previously available have provided a lot of people who lived it, and as long as we treat them with the thoughtfulness and respect they deserve, I'm not sure we will ever be done. Why do you think readers are still so drawn to stories from this period in history, fast fading from memory? Stories from the war are more popular than ever. In part, I think it is a drive to capture and tell the stories of the survivors in whatever form now and before they are gone. I also think that the war is just such fertile ground for storytelling. The dire circumstances and stark choices are ideal for placing the reader in the shoes of the protagonist and having her ask, "What would I have done?" 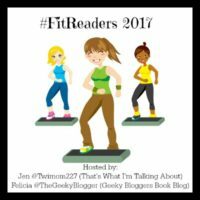 Which characters in the novel are based on real people and which did you fabricate? All of my characters are fictitious. But I was inspired by real life accounts I read of courageous circus owners, Jewish performers in hiding, and others. The novel has two central characters - Noa and Astrid. Which one would you say is the main protagonist? I couldn't choose between Noa and Astrid - the story is equally theirs and I worked hard to give each a distinct voice. There is a lot of detail about circus life and circus acts. Did you spend any time with a real circus? One question I struggled with in writing this book was whether I had to go see the circus as part of my research. I dislike the circus and think it is cruel to animals and didn't want to go. Ultimately, I concluded that since the modern American circus is very different from the historic European version, going would be more misleading than helpful. But I did consult extensively with an aerialist on the trapeze. The "orphan" who lends his name to the title is only an infant as the story unfolds. Why did you choose to give the book this title? I'm not sure that the infant is the orphan. First, it is unclear whether his parents are deceased or out there somewhere. Second, Astrid may be an orphan in that her parents have been taken by the Germans. Finally, Noa is metaphorically an orphan since her parents kicked her out. As for titles in general, developing them is a very interesting process creatively and editorially and I think that is all I will say about that! You spent time in Europe during your career with the State Department. What did that knowledge of place bring to the writing of the book? I spent several years in Europe, most of which as a diplomat in Krakow, Poland. The State Department gave me responsibility for handling all of the issues related to the Holocaust that had never been resolved during the Communist era, questions of anti-Semitism, property restitution, and preservation of the concentration camps. I also became very close to many of the Holocaust survivors, who were like grandparents to me. I was profoundly moved and changed by those experiences. My books are tributes to those people and times. I think they reflect an understanding of the era and events that can come only from having spent so much time on the ground in the region grappling with the past. 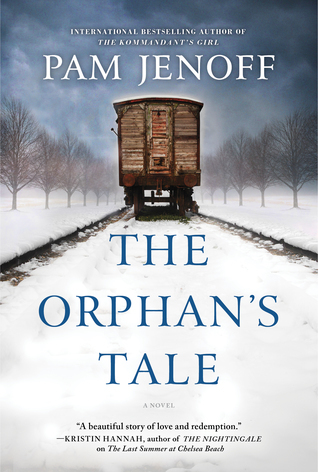 Why have you called The Orphan's Tale "the book that broke me"? I call The Orphan's Tale "the book that broke me" to write because of the train of unknown infants, taken from their parents. It is the opening scene and the lynchpin of the book, but as a mother of three children myself, it was also the hardest to write. I avoided it for a long time before doing so. Are you working on another novel? If so, can you give us a sneak peek into what it is about? My next book, still untitled, is about twelve young British women who went missing in Europe during World War II while working as spies, and the woman who goes searching for them - and who might or might not have betrayed them. 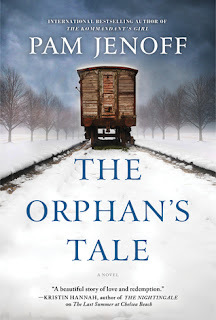 *** I don't know about you, but I am really excited to start reading The Orphan's Tale...and I will certainly be anxious for Pam's next book as well! Thank you MIRA for sharing this conversation with Pam and Pam, thank you for taking time to answer all these questions - they were so insightful!! !